Not only can our foreign language courses help you develop connections on a personal level, they can also broaden those business horizons. In the modern world, Brandt’s mantra is becoming more relevant by the year. 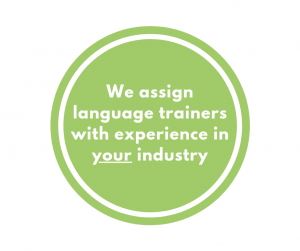 Here at Robertson Languages International, our language trainers are passionate about what they do, and take great pride in their ability to help professionals become more fluent and more confident when using a new language. What languages do we provide training for? If you do not see your language listed, please contact us and a member of our expert customer service team will be more than happy to help. Our foreign language courses for businesses are designed with specific business needs in mind and are ideal for professionals who wish to improve their language skills and build their confidence in conversation. By practicing in ‘real life’ situations, professionals develop new language skills and fluency – and, after time, start to use their language of choice confidently and effectively in the workplace. Our languages for relocation courses are designed for professionals (and their families) who’ve been asked to relocate to other countries on short or long-term assignments. By offering tailored language training and cultural solutions before and after the move, we aim to make the settling-in period shorter and the overall relocation process smoother. Our language courses for general purposes are ideal for anyone who wishes to improve their everyday communication skills and fluency in any language. By focusing on real life situations and tasks, our language learners find themselves becoming more fluent and confident after only a few lessons. 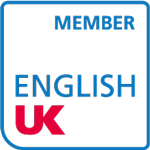 And if you are rarely in one rarely in one place, in remote locations, or if you are simply on a restricted budget, our online language courses might be the option for you. Why choose our foreign language courses? For a free discussion of your foreign language training requirements please contact us on +44 (0)118 934 6000 or fill in our contact form.